Click on the topics below to read the full article. FIC Governing Board resolves to place a moratorium on Crypto-assets and Crypto-currency based banking and financial businesses in Palau until further notice. Learn more about the moratorium. The Financial Institutions Commission (" FIC") in conjunotion with Palau Construction Bank, Ltd. ("PCB") would like to formally notify the public, the bank's customers, and creditors that the majority shareholders of PCB agreed to the sale of their ownership interest in the Bank. As such, an application for this significant change in ownership structure was submitted to the FIC and the application was reviewed and approved. With this approval of the change in majority shares structure of the bank, the bank retains its license but will operate under new ownership. Palau Construction Bank is now owned by Heartstrings Capital Management and the new owners of this bank have lodged a request for name change with the FIC. The FIC has agreed to the name change and Palau Construction Bank will formally change its name to "Palau Investment Bank, Ltd", beginning on October 1st, 2017. The FIC along with Palau Construction Bank wish to notify the public, its customers, and its creditors that the Bank will remain in its current location, and will conduct business as usual, and will continue to be allowed to operate its banking business in accordance with the Republic of Palau Financial Institutions Act and its accompanying regulations that apply to all licensed banks. In the following weeks, the bank will work to ensure that the transition with the name chagne is seamless and will not result in any disruption of their daily deposit taking and loan activities. Lindsay M. Timarong has been awarded the Accredited Investment Fiduciary Analyst® (AIFA®) designation from the Center for Fiduciary Studies™, the standards-setting body for fi360. The AIFA® designation signifies the ability to perform fiduciary assessments measuring how well investment fiduciaries are fulfilling their duties to a defined standard of care. The designation is the culmination of a rigorous training program, which includes a comprehensive, closed-book examination under the supervision of a proctor, and agreement to abide by the Code of Ethics and Conduct Standards. On an ongoing basis, completion of continuing education and adherence to the Code of Ethics and Conduct Standards are required to maintain the AIFA® designation. 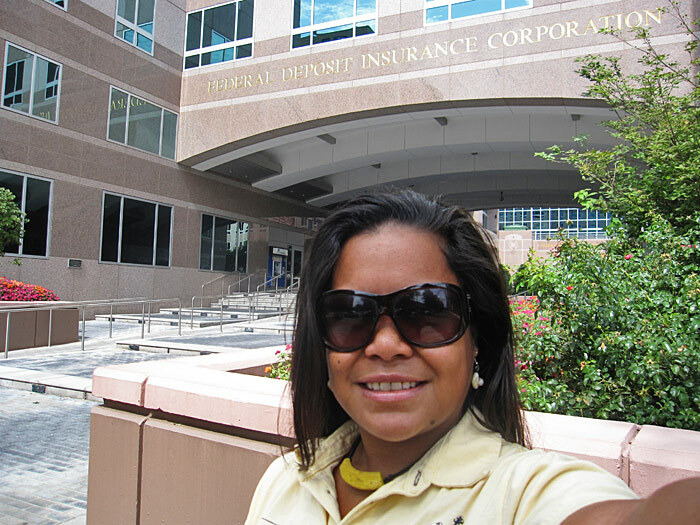 Ms. Timarong, a resident of Palau, currently serves as the Bank Examiner for the Republic of Palau Financial Institutions Commission. She has a bachelor and master’s degree in economics and has been in banking regulation since 2009. In addition, Lindsay presently serves as co-chair of the Committee on Governance and Communications on the Board of Trustees for the $210 million Republic of Palau Compact Trust Fund. fi360, founded in 1999 and based near Pittsburgh, Pa., is the first full-time training and research facility for fiduciaries, and conducts training programs throughout the United States and abroad. The Center for Fiduciary Studies confers the AIFA® designation as well as the Accredited Investment Fiduciary® (AIF®) and the Fiduciary Essentials® (FE®) Certificate. The Financial Institutions Commission proudly announces that the FIC Bank Examiner Ms. Lindsay M. Timarong has successfully completed the four phase U.S. FDIC Bank Examination training series culminating with the intensive three-week Examination Management School (EMS). EMS is the final phase of FDIC Bank Examination School and is a requisite for eligibility to become a commissioned examiner in the U.S. focusing on building capacity and certification for leading bank examinations as Examiner-In-Charge. The successful completion of the three-week program is tantamount to earning a commissioned status for foreign jurisdiction participants who may not be required to take a national exam in their respective countries. This is a tremendous advantage for the Republic where our largest financial institutions are branches of U.S. FDIC insured banks. Ms. Timarong was commended by course facilitators for her analytical writing skills and recognized for her cumulative experiences in the conduct of on-site examinations including Anti-Money Laundering examinations. Ms. Timarong has successfully completed the Examination Introductory School, Financial Institution Analysis School, and Loan Analysis School in prior years. Potential areas of further study include specialty examination programs such as Information Technology/Bank Cybersecurity and Bank Secrecy Act/Anti-Money Laundering (BSA/AML) courses. 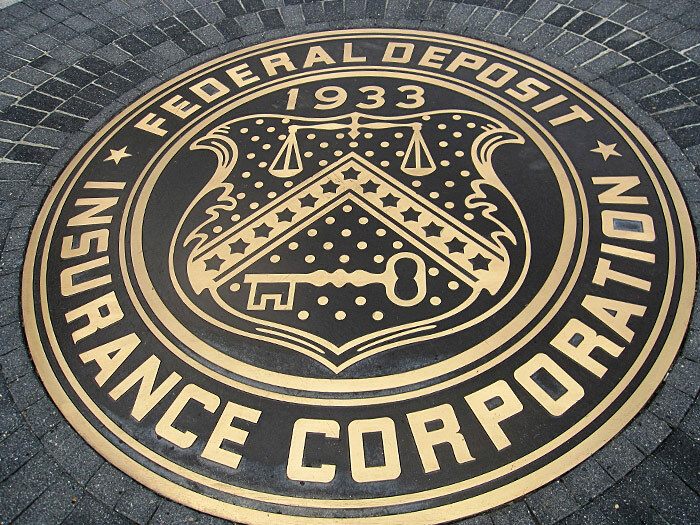 The FIC’s Executive Commissioner and Bank Examiner began taking courses at the FDIC’s Bank Examination School in 2010. The Bank Examiner's completion of the final phase of U.S. FDIC Bank Examination School was made possible by a grant from the U.S. Department of Interior, which has funded these invaluable and requisite trainings from the beginning of the training programs in 2010. The FIC wishes to thank the U.S. Department of Interior and the coordination efforts of the Palau National Government in this regard which has led to Palau having a Bank Examiner that is of U.S. FDIC caliber and able to examine banks not only in Palau but in any State or Territory of the United States. 2016 Annual Meeting of Pacific Island Heads of Financial Sector Supervisory Authorities A Success in Palau! 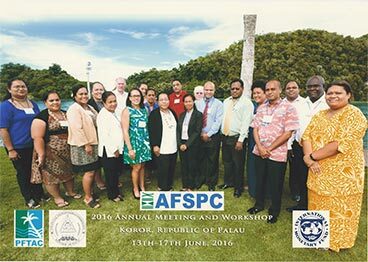 Koror, Palau – The Association of Financial Supervisors of Pacific Countries (AFSPC) held its week-long annual meeting in the Republic of Palau from June 13, 2016 through June 17, 2016. 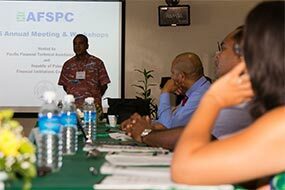 Palau was selected to host this year's annual meeting of financial sector regulators during last year's AFSPC gathering in Honiara, Solomon Islands. This was the first time in the history of the AFSPC for a regional forum and workshop to be held in the North Pacific region and choosing Palau was a tremendous compliment to the country. As Secretariat to the AFSPC, the International Monetary Fund's Pacific Financial Technical Assistance Centre (PFTAC) was the overall administering agency in collaboration with the Republic of Palau's Financial Institutions Commission (FIC), which was host for this year's meeting. The meeting was preceded by a series of regional workshops that covered financial sector regulation and other supervisory topics focusing on Natural Disaster Preparedness and Recovery in the financial sector. PFTAC Technical Advisor on Banking Supervision facilitated several workshops on the topic including in-depth discussions on the business continuity policies and disaster recovery frameworks in the region. PFTAC Coordinator Mr. Scott Roger highlighted that this was an area where Pacific Islands' jurisdictions were the innovators in supervisory regimes giving reference to the experience of financial sector stakeholders before, during, and in the aftermath of Tropical Cyclone Pam and Tropical Cyclone Winston in the South Pacific. Standards of practice in disaster preparedness and recovery are not new concepts, but are re-emerging areas of concern in high level policy committees for governments and international bodies. The region is paving the way in establishing best practice standards, particularly as natural disaster preparedness and recovery are accentuated by climate change initiatives. A total of twenty participants from ten Pacific Island countries were in attendance including financial sector regulators from the Federated States of Micronesia, Republic of the Marshall Islands, Cook Islands, Papua New Guinea, Samoa, Tonga, Solomon Islands, Vanuatu, Timor-Leste, and Palau. Facilitators from the Australian Prudential Regulation Authority (APRA) as well as PFTAC were also involved in the week's program. During the week, officials from the Ministry of Finance's Office of Planning & Statistics were invited and were on hand to observe the workshops and presentations. The workshops and meeting were held at the Palau International Coral Reef Center. The Center's Chief Executive Officer Dr. Yimnang Golbuu, Ph.D., gave a presentation to the group during the week on the topic of climate change and the research undertaken at the Center. A panel comprised of all but one of the local executives of licensed banks in Palau was also part of the week's program. Participants lauded this year's annual meeting as "setting the bar high for future meetings of the Association" and for many who were first time visitors to the North Pacific, the experience in Palau left a lasting impression. The delegation's dining experiences in Palau included a formal dinner hosted at the Palau Pacific Resort highlighted by a traditional Palauan men's dance performance. 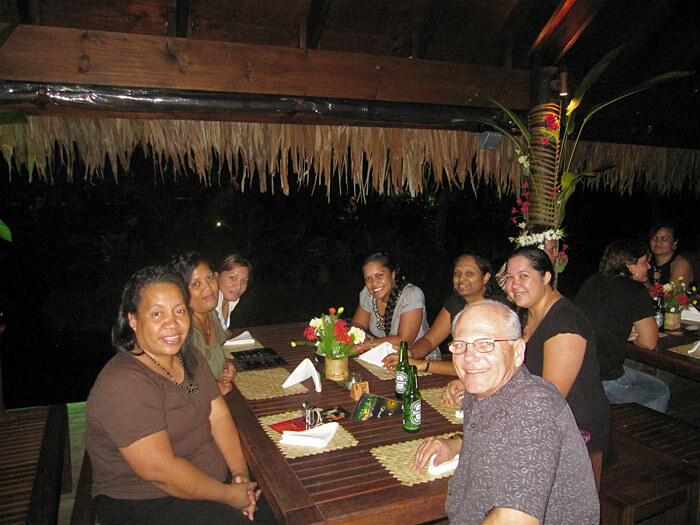 Although the President could not attend the dinner, the President's Chief of Staff, Mr. Secilil Eldebechel, was on hand to welcome the financial sector regulators to Palau and recognize the local dignitaries in attendance that evening, including founding and former members of the FIC Governing Board of Commissioners. The FIC treated the participants to a boat ride to the country's famed rock islands for a Saturday picnic to culminate the week's events before returning to their respective countries. Every Pacific Island jurisdiction, including the APRA and PFTAC facilitators received a storyboard carving of the Palauan legend of Ngerot Island and Delerrok (Palauan money bird); and all participants received a personal gift bag containing the first edition of Ann Kitalong's book "A Personal Tour of Palau", a coffee mug showcasing the flags of Palau's sixteen states and national flag, as well as handmade-in-Palau products including coconut caramel and soap. The Acting Commissioner of the FSM Banking Board also provided handmade gifts for all participants including hibiscus bark mwarmwar (head garlands) and handcrafted flowers from Pohnpei. Funding for this year's workshop and meeting were provided by PFTAC and the FIC with support from the Republic of Palau national government. The FIC wishes to acknowledge and express gratitude to the Ministry of Justice and Ministry of Finance agents for providing logistics and transportation support for all participants during the week. The FIC also extends appreciation to all the local vendors, hotels, and restaurants for your contributions in making a good impression upon all the participants. During this year's annual AFSPC meeting, the association recognized PFTAC Technical Advisor Mr. Pierre Seguin whose tenure with the regional body ends June 30th. 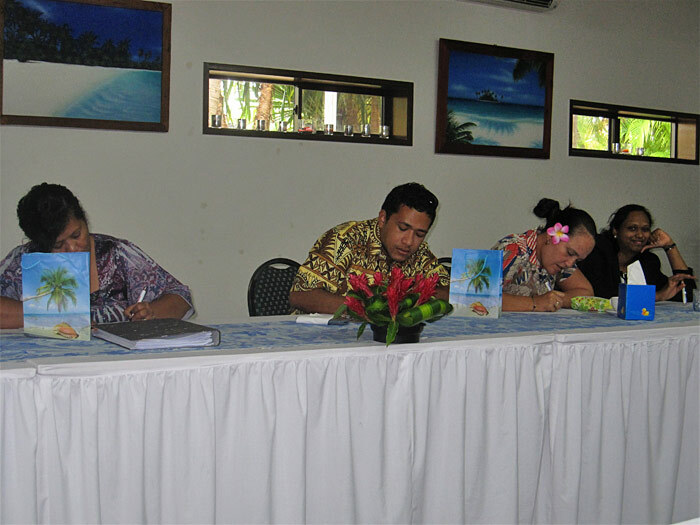 This would be his last annual meeting with the financial sector supervisors for Pacific countries. Mr. Seguin is highly regarded for his work in championing Credit Union legislation in the region and for his contributions these past three years in helping the association build stronger and more robust financial systems in the North and South Pacific jurisdictions. Mr. Benjamin Stafanou will take over as PFTAC Financial Sector Supervision Technical Advisor and is slated to begin his tenure at PFTAC's Fiji headquarters in July 2016. 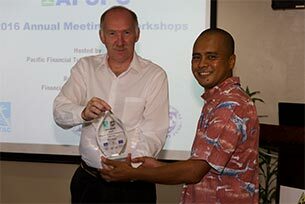 Palau has been a member of the Association of Financial Supervisors from Pacific Countries (AFSPC) since 2003. The Association was created in late 2002 by eight Heads of Supervision in the Pacific region and endorsed by the Governors of Central Banks and Ministers of Finance. The objectives and activities of the AFSPC are listed in its 2009 Memorandum of Understanding, to which all member countries and observer countries must subscribe. The Association’s listed objectives include promoting closer cooperation and information sharing in financial regulation and supervision in Pacific countries, strengthening the financial sectors of Pacific countries by promoting international standards and best supervisory practices, and facilitating training to enhance supervisory skills. The AFSPC acts as a liaison between member countries and international standard setting bodies and organizes workshops and seminars to address regional training needs. In addition to holding an annual meeting, the group, through its Secretariat, initiates projects that would enhance the supervisory capabilities of member countries. 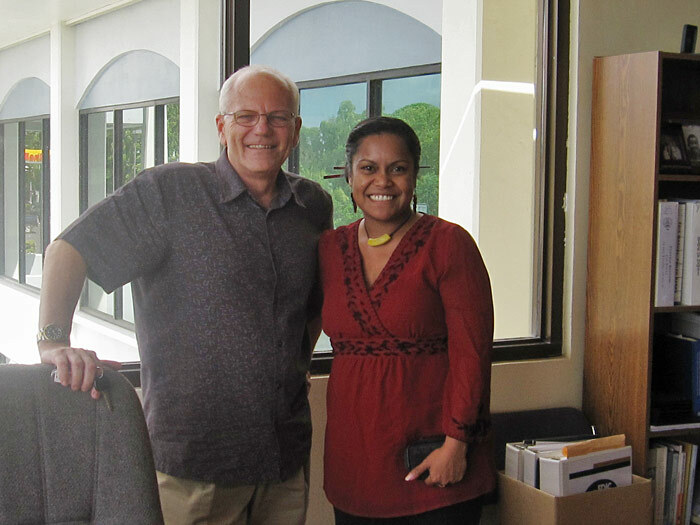 The IMF's Pacific Financial Technical Assistance Centre (PFTAC), headquartered in Suva, Fiji, fulfills the role of Secretariat for the association with administrative support from the Reserve Bank of Fiji. The inaugural members of the AFSPC are the Federated States of Micronesia, Fiji, Papua New Guinea, Republic of the Marshall Islands, Samoa, Solomon Islands, Tonga, and Vanuatu. The Cook Islands and Palau became members in 2003. Australia, New Zealand, and the State of Hawaii are observers, which means that these are countries or territories that actively support the objectives of the Association. More information on the AFSPC is found on the internet at http://www.pftac.org/afspc_site/. On April 25, 2016, Palau Customs Officers discovered ATM card skimming devices hidden inside a DVD player to be delivered to a visitor to Palau. A Fed Ex package was received by the Customs Office at the Palau International Airport. The package originated from Indonesia and was addressed to a non-resident female purportedly staying at a local hotel in Koror. Upon inspection of the package, Custom Officers discovered a DVD player concealing ATM skimming devices inside of it. First Hawaiian Bank in Saipan was a recent target of a card skimming scheme and has notified its customers to monitor their bank accounts for any unwarranted transactions. The devices discovered in the package destined for Palau permit the user to disguise the device on an ATM machine and recover bank data, including the Personal Identification Number (PIN), from an unsuspecting card holder when they use the ATM machine. The Customs Office with the assistance of the Financial Intelligence Unit and representatives from Bank of Guam and Bank of Hawaii identified the devices. It is believed that the package contained skimming devices for each of the FDIC regulated institutions on the island. The FIU is in communication with the U.S. FBI regarding the event. Investigators from the Drug Tasks Force and Customs Office tracked down the addressee of the package. She was identified as a female individual traveling on a Romanian passport. She and her male traveling companion, also from Romania, were questioned extensively regarding the package. They claimed to have no knowledge of it. Because the officers lacked sufficient evidence to charge no arrest was made and the suspects departed Palau on April 27, 2016. The community needs to be mindful of the ATM card skimming threat and notify your bank or law enforcement personnel if they discover anything suspicious with their local bank ATM. See also full article in Island Times Newspaper clipping. View the list of FIAC holders who are no longer licensed and/or authorized to do business in the Republic of Palau. This week, the FIC Governing Board and the Commissioner and associates bids farewell to Chairman Okada Techitong. Chairman Techitong completed his term with the FIC Governing Board after being appointed twice and serving for a period of six years. Mr. Techitong served as an appointee of former President Johnson Toribiong and then as an appointee of President Tommy Remengesau, Jr. Prior to joining the FIC Governing Board, Chairman Techitong had served a long tenure as a Delegate for the State of Ngatpang, having been elected for two terms and serving a distinguished career in the 6th and 7th Olbiil Era Kelulau. Prior to his service in our national congress, Techitong also served on several Chairmanship positions such the Commerce and Trade Committee of the Asia-Pacific Parliamentary Union and the Micronesian Shipping Commission. He has also served on various Boards, Commissions, and Task Forces during his long career; such as the Palau National Communications Corporation, the Capitol Relocation Commission, and the Joint Aviation Task Force. His long and distinctive career also brought not only his experience and knowledge as a Delegate for Ngatpang State, but also as a former Minister of Commerce and Trade, twice appointed by two different Administrations. 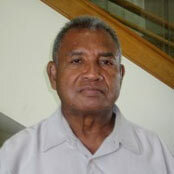 Mr. Techitong served under Presidents Etpison and Nakamura and has had a very notable career in the Trust Territory Government prior to coming to Palau in the early Trust Territory days to help manage and operate the Western Caroline Trading Company. During Chairman Techitong’s tenure on the FIC Governing Board, he had been very instrumental in that he provided leadership to the FIC and its staff in dealing with issues such as the PSB Receivership and the winding down of such, the closure of the First Commercial Bank, and other matters relating to improvements in Palau’s financial sector and in the country’s anti-money laundering regime. The most recent efforts were on credit union reform, which resulted in a new and much needed and improved credit union law which was submitted recently to the OEK for consideration. The FIC Governing Board, the Executive Commissioner, and staff have expressed their appreciation of Techitong’s leadership and wisdom and express hope that he would consider continuing to provide his wealth of knowledge in other public service forums and agencies. With the departure of Techitong, the Governing Board has since appointed Mr. Tutii Chilton to be the new Chairman of the FIC, with Ms. Uroi Salii as the Vice Chair. Mr. Lamine Konate, a 44-year old African citizen of the Republic of Du Mali, plead guilty to one count of counterfeiting on June 17, 2014, and was handed a suspended sentence of two years imprisonment by the Supreme Court of the Republic of Palau. Sentencing conditions include Mr. Konate's forfeiture of twenty counterfeit U.S. one-hundred dollar bills (US$100) to the Republic of Palau, and his departure from the country no later than June 20, 2014. After sentencing, the Mali man was released into the custody of Palau customs officers entrusted to ensure his expeditious departure. Enhanced training of Division of Customs officials through collaboration with the Palau Financial Intelligence Unit (FIU) resulted in the detection of the twenty counterfeit notes found to be in Lamine Konate's possession upon arrival in Palau on June 11, 2014 from Manila, Philippines. Customs Officer Didil Lucio discovered the notes during an inspection of Konate's luggage at the Palau International Airport, and along with fellow Officers Landis Rechelluul and Poland Masaharu, determined the bills to be counterfeit. The Mali citizen claimed that he had received the notes from a bank in the Philippines, but was unable to provide documents or receipts to substantiate the claim. The notes were confiscated by the customs officials and subsequently confirmed to be counterfeit by Officer Haque Blesam of the Financial Intelligence Unit, Bank of Guam-Palau Branch Manager Matthew Cruz, and Financial Institutions Commission (FIC) Executive Commissioner Semdiu Decherong. Court records indicate that the bills were deemed counterfeit upon careful inspection by the above-named officials involved because the one-hundred dollar bills lacked distinct features present on genuine U.S. currency. All twenty of the US$100 notes were determined to be from the 2003 series, no red and blue fibers were embedded through the paper, and no security thread was present, among other authenticating criteria. An ultra-violet light counterfeit detector also used to inspect the bills further confirmed that all twenty were fake. Customs Investigator Pelefoti Cooper conducted a formal investigation into the matter after the case was brought to his attention. With the assistance of fellow investigator Roger Andreas and Bureau of Public Safety Director Ismael Aguon, an interview of Konate was carried out and additional information obtained. The combined efforts and mutual cooperation among the Division of Customs, the FIU and the FIC resulted in the successful apprehension, investigation, prosecution, and conviction of this international criminal. The Republic of Palau is working together with relevant U.S. agencies to ensure that any individual(s) or entity(ies) suspected of being an accomplice(s), accessory(ies), or other related persons of interest, are brought to the attention of proper authorities. The offense of counterfeiting is a felony in the Republic of Palau and carries a maximum sentence of fifteen years in jail and/or a maximum fine of fifteen-thousand U.S. dollars (US$15,000) for each count. The Financial Institutions Commission submitted its fifth annual banking sector report to the OEK (Palau National Congress) on April 15th, 2014. The report maintains that the overall condition of the Palau banking sector remains satisfactory and continues to demonstrate stable growth. The report contains aggregate sector information as well as an overview of key developments for the regulatory agency as well as the local banking sector. Banking sector reports generated by the FIC are available online. The Financial Institutions Commission hosted a series of meetings facilitated by Asian Development Bank (ADB) advisors on the use of the Secured Transactions Registry (STR), which was implemented in January 2013. ADB consultants were on-island during the week of April 14th through the 18th conducting presentations on the STR and introducing a new and more efficient system of registering corporations. It has been a long standing recommendation for Palau to improve its Corporate Registry, and this new online filing system is a recommended way to replace the current process. Legislation and regulation governing corporate registration will have to be passed prior to implementation of new corporate registration procedures. The timeframe to implement a new registry of corporations is estimated to take at least eighteen months. Bank of Guam signed a Memorandum of Understanding with the Palau National Government on April 1st, 2014, marking the bank's entrance into local mortgage lending. The bank will offer mortgage loans through the National Development Bank that will be guaranteed by the National Government. For more information on the program, please contact the Koror branch of Bank of Guam. Mrs. Jennifer Koskelin-Gibbons joined the Governing Board of the FIC through the adoption of Senate Resolution 9-85 adopted on October 17, 2013. This is the first time in the history of the FIC that all vacancies on the board have been filled. On October 15, 2013, the Financial Institutions Commission (FIC) and the Financial Intelligence Unit (FIU) relocated to the 2nd floor of IA Meda Korner Building in Medalaii, Koror. The Financial Institutions Commission submitted its fourth annual banking sector report to the OEK (Palau National Congress) on April 1st, 2013. The report maintains that the overall condition of the Palau banking sector remains satisfactory and shows continued improvements. The report contains aggregate sector information as well as an overview of key developments for the regulatory agency as well as the local banking sector. Banking sector reports generated by the FIC are available online. The Financial Institutions Commission of the Republic of Palau has enhanced its program for monitoring banking institutions by successfully implementing revised prudential reporting. New standardized prudential reporting forms (i.e. prudential returns) required to be submitted to the FIC by all licensed banks have been harmonized across the North Pacific jurisdictions, making cross-border comparison of banking sector performance indicators easier and more effective. The new prudential returns also enable the FIC to collect monetary statistics and information used to evaluate trends in local access to, and use of, financial services. From this newly implemented regulatory reporting program, the FIC has further improved its quarterly assessment of all banking institutions and the local banking sector overall. Banking sector reports generated by the FIC are available online. The FIC would like to take this opportunity to thank all licensed banks and the respective bank officials involved for their cooperation and valuable input towards making implementation of this new reporting program a success. The initiative resulted from the first regional banking supervisory workshop held for North Pacific jurisdictions, which was hosted by Palau last July. This was the first time in the history of the FIC for a regional workshop to be held specifically for North Pacific members of the Pacific Financial Technical Assistance Centre (PFTAC) and the Association of Financial Supervisors from Pacific Countries (AFSPC). 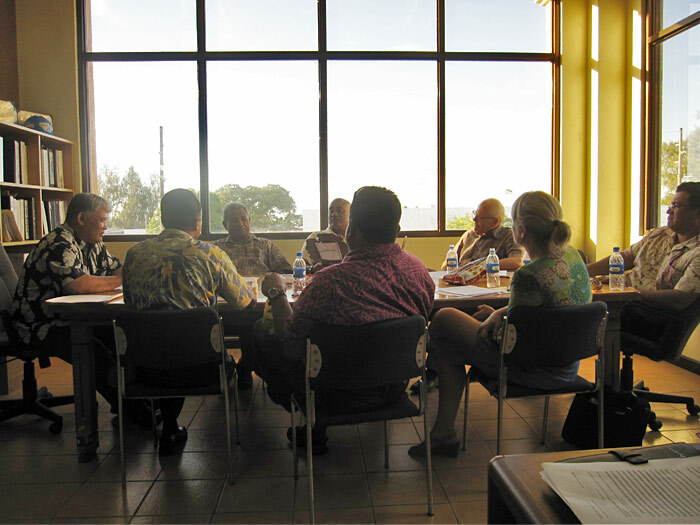 Bank supervisory officials from the Federated States of Micronesia and the Republic of the Marshall Islands attended the workshops and all three North Pacific banking jurisdictions, including Palau, agreed to implement the new regulatory reporting format. Before this year, North Pacific jurisdictions utilized different forms for the collection of prudential information from banks operating within their respective borders, often prohibiting or restricting adequate comparisons regionally. Now that all jurisdictions will be utilizing similar forms, information sharing at the aggregate industry level will be greatly enhanced, thus improving the ability to address supervisory concerns at the regional level. The Financial Intelligence Unit has moved its office from the Ministry of Finance-Koror location to the second floor of the PRA Professional Building, Suite 201. The relocation of its base of operations resulted from a request by Ministry of Finance officials who required use of the space occupied by the FIU. The public is advised to contact the office at (680) 488-3291 for FIU matters. 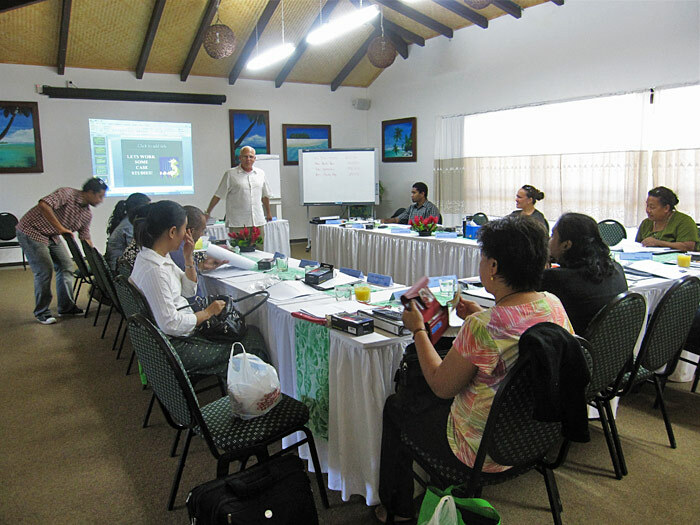 The Republic of Palau was selected to host a workshop for banking supervisors from the North Pacific region. This was the first time in the history of the FIC for a regional workshop to be held specifically for members of the Pacific Financial Technical Assistance Centre (PFTAC) and the Association of Financial Supervisors from Pacific Countries (AFSPC) from the Northern Pacific region. Bank supervisory officials from the Federated States of Micronesia and the Republic of the Marshall Islands attended the workshops, which were facilitated by PFTAC Technical Advisor Mr. John Vaught. Mr. Wilson Waguk, Banking Commissioner for the Federated States of Micronesia (FSM), Ms. Melsihner Hadley, Bank Examiner for the FSM Banking Commission, Ms. Maria Lanwi Nathan, Bank Examiner for the Marshall Islands Banking Authority, Mr. Semdiu Decherong, Executive Commissioner of the Palau Financial Institutions Commission (FIC), and Ms. Lindsay Timarong, FIC Bank Examiner, all participated in the workshop. The workshop commenced on Monday, July 9th and lasted through Friday, July 13th and covered topics related to the off-site monitoring of banking institutions, specifically the new standardized prudential reporting forms that will be utilized by banking authorities in the North Pacific region. During the workshop week, participants also discussed standards for data compilation with regard to monetary statistics, and thus, representatives from the Palau Office of Statistics were also invited to join in on these sessions. 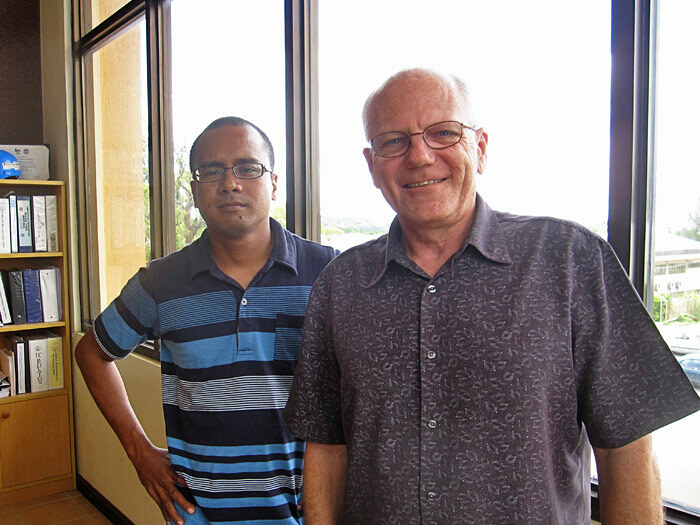 Mr. Rhinehart Silas from the Palau Statistics Office and Mr. Mark Sturton, Consultant, attended the first day of the workshop and made recommendations on the compilation of data for monetary statistics. Palau has been a member of the AFSPC since 2003. The Association was created in late 2002 by eight Heads of Supervision in the Pacific region and endorsed by the Governors of Central Banks and Ministers of Finance. The Governors endorsed its formation with the intent of forming an alliance that would represent the voice of the Pacific in an international forum where financial supervision issues are debated. The objectives and activities of the AFSPC are listed in its 2009 Memorandum of Understanding, to which all member countries and observer countries must subscribe. The inaugural members of the AFSPC are the Federated States of Micronesia, Fiji, Papua New Guinea, Republic of the Marshall Islands, Samoa, Solomon Islands, Tonga, and Vanuatu. The Cook Islands and Palau became members in 2003. Australia, New Zealand, and the State of Hawaii are observers, which means that these are countries or territories that actively support the objectives of the Association. With administrative support from the Reserve Bank of Fiji, PFTAC acts as Secretariat for the association. More information on the AFSPC is found on the internet at http://www.pftac.org/afspc_site/. Executive Commissioner Semdiu Decherong and the FIC Staff joined the June monthly meeting of the Chamber of Commerce held at the Palau Pacific Resort to present the recently passed Secured Transactions Act. The Executive Commissioner gave an overview of the Act and reported on the impending process of implementation, including the development of the central registry for movable collateral. Questions raised were regarding the value in having such a registry in place and the type of information that will be available to users of the registry. An ADB expert will assist in the development and implementation phase and the FIC's Administrative Officer, Ms. Tikei Sbal, shall be responsible for maintaining the registry. The Executive Commissioner is willing to schedule another time to speak with the Chamber to report on its progress. 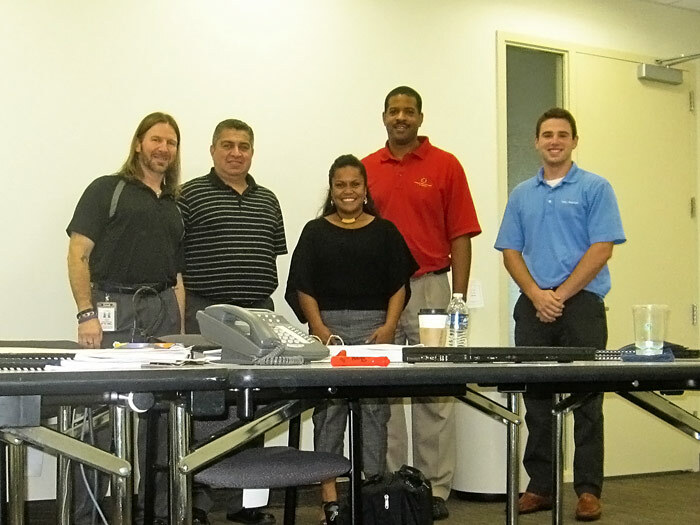 The FIC Bank Examiner spent two weeks with the U.S. FDIC attending the institution's Loan Analysis School. This is an intense two-week program focusing on loan analysis methods, loan classifications and asset quality ratings, loan quality indicators, and individual loan write-ups. The Bank Examiner received a certificate after successfully completing the course, which is the third phase of U.S. FDIC training on bank examinations. The FIC submitted an electronic copy of the 2011 Banking Sector report to the OEK on May 25th. A hard copy was subsequently delivered to the legislative body on May 29th. The FIC is required by law to provide this report on an annual basis, and has been providing an annual banking sector report since 2009. This report is available to public and may be accessed via the FIC's website, or our office located on the 2nd floor of the PRA Professional Building. The 8th OEK has passed the long-awaited Secured Transactions Act, which formalizes the process by which movable assets that are used as security on loans, or other forms of credit, may be centrally registered and made available for lenders/creditors to verify their lien position(s) on specific collateral. "The banking system remains sound and the Financial Institutions Commission (FIC) has made welcome progress in strengthening banking supervision. " In the report, the IMF staff commend the FIC for its proactive approach to bank regulation and noted that the Commission has implemented a new off-site monitoring program, submitted Palau's first annual banking report to the OEK in 2010, and strengthened its capacity to conduct on-site examinations of licensed banks. The report emphasizes that an independent and well-functioning FIC is crucial to sound supervision and recommends that the remaining vacancy on the FIC Board be filled quickly with a qualified candidate. The IMF report remarks that the overall banking system in Palau remains sound, that banks are liquid and profitable. However, it is noted that limited credit is provided to the private sector. Among the recommendations, the staff report advises that non-bank financial institutions need to be brought under the supervision of the FIC—namely, the National Development Bank of Palau (NDBP) and finance companies (small loan and remittance companies). The report explains that potential fiscal risks could arise from the NDBPs practice of loan guarantees and its lending activities have implications for the overall financial stability of the banking sector. It is further explained that the lack of information and inadequate supervision of finance companies does not allow proper assessment of their potential risks. It is recommended in the report that the FIC be equipped with adequate resources should the agency's mandate expand to non-banks. The staff report commented on the continued efforts in anti-money laundering and combating the financing of terrorism (AML/CFT) and the Financial Intelligence Unit's on-going efforts to build up its ability to conduct examinations. IMF staff mentioned the current amendment to Palau's AML legislation which incorporates many of the IMF's recommendations in the 2008 AML/CFT assessment report. From the IMF consultation team's meetings with Palau officials, it is noted in the report that Palau authorities saw merits in bringing non-banks under the oversight of the FIC, however, a study of the cost and benefit would be undertaken before a final decision is made. The FIC is expected to fulfill an expanded mandate with adequate resources and continued capacity building. The full report may be accessed at the following website: http://www.imf.org/external/country/PLW/index.htm. Three defendants in the Pacific Savings Bank criminal case were found guilty of numerous counts of grand larceny and money laundering. Associate Justice Alexandra Foster presided over the case and read the verdict from the bench on November 9th, marking an end to a three week trial that culminated six years of investigation and litigation. All three were found to have conspired to steal money from the bank and conceal their crime. The court agreed to release defendants Debbie Rengiil, Margo Llecholch, and Sherry Tadao on their own recognizance until sentencing, which took place on December 14, 2011. A money laundering conviction carries a jail term of not less than ten years, $2,500 fine, or both for each count; whereas, a grand larceny conviction carries jail time of not less than five years, $1,000 fine, or both for each count. Sherry Tadao and Debbie Rengiil each received a suspended 30-year jail term. Additionally, they'll each have to pay $89thousand in restitution and $15thousand fine, and 140 hours of community service, which all must be satisfied within three years, otherwise, the suspended sentences shall be revoked and the two ladies would have to serve 30 years in jail. Margo Llecholech received a jail term of 25 years, also suspended. She must pay $54thousand in restitution, $10thousand fine, and serve 100 hours of community service within three years, otherwise, her suspended jail term shall be revoked. In an amended complaint filed by Independent Council Lucky MacMahon on behalf of the government on September 29, 2011, over two hundred criminal counts of grand cheating, grand larceny, embezzlement, and money laundering were charged against the bank's former president, Mack Timothy Taunton, and the above named three defendants for their role in the collapse of Pacific Savings Bank. After the sentencing hearing ended on December 14, 2011, new charges were filed against the defendants for similar acts committed during a different time period. The Palau branch of First Commercial Bank officially announced on December 1st that it is voluntarily closing the branch and ceasing operations in the Republic. Beginning from December 1st, the bank has notified the public that it intends to return all deposits and settle all loan accounts within three months time. Depositors and credit customers have until February 29, 2012 to settle their accounts with the branch. The Executive Commissioner spent two weeks with the U.S. FDIC in Washington D.C. attending the institution's Loan Analysis School. This is an intense two-week program focusing on bank credit analysis, credit quality rating, asset quality, key indicators, and report writing. First Fidelity Bank voluntarily transitioned from being a bank, as defined in the amended Financial Institutions Act, to being a finance company effective November 23, 2011. This means that the bank has closed all accounts with deposit customers and will no longer be a deposit-taking institution. This was the only 100% wholly Palauan owned financial institution on island. Formerly Palau Central Bank, the bank was re-issued a license operating as First Fidelity Bank in June 2006. The Financial Institutions Commission Governing Board bid farewell to its longest serving member Mr. Kaleb Udui, Jr., on November 15, 2011. Mr. Udui was appointed to the FIC board in February 2002. He served as Ex-Officio member of the Board until his term ended on November 15 when he effectively was no longer President of the National Development Bank of Palau. Mr. Udui is eligible for appointment to the FIC Board as a voting member and his nomination from the President's Office has been submitted to Senate for consideration. Kaleb Udui, Jr., has been an invaluable member of the FIC Board holding positions on the Board's committees and as Ex-officio. His professionalism, experiences and expertise have been invaluable contributions to the agency, the depositors of financial institutions, and the banks that the Commission diligently regulates. He was instrumental in the passage of the Financial Institutions Act, the 2008 amendments of the Financial Institutions Act, the promulgation and passage of Regulations for the Financial Institutions Commission, the establishment of the Financial Investigations Unit, among others. Mr. Udui served as Receiver for Pacific Savings Bank. As Receiver, Mr. Udui demonstrated exemplary conduct and leadership in serving the Republic of Palau. Moreover, Mr. Udui has dealt with such politically sensitive matters as those concerning the criminal and civil court cases related to the failure of Pacific Savings Bank, PSB depositors’ payout, and the termination of the Receivership. He maintained calm and composure and upheld the FIC Board’s policies in preserving the principles of prudent banking regulation pursuant to the Republic of Palau Financial Institutions Act. The Financial Institutions Commission extends its deepest appreciation to Mr. Udui for his time and dedicated service to the Republic of Palau in furthering the development of, and improvements in the financial sector. His presence on the board and involvement in the growth and development of the Financial Institutions Commission will be missed by the Board, staff, and the Executive Commissioner. Mr. Udui was presented with a Certificate of Appreciation and formal Board Resolution in recognition of his many contributions. Ms. Uroi Salii was nominated and confirmed by Senate on October 28th to the FIC Governing Board. 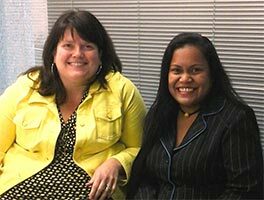 Ms. Salii was recently hired as Director of Finance for Palau Community College (PCC). She joins members Tutii Chilton, renominated and confirmed for another 2 years on November 9th; Kenneth Uyehara, current Vice Chairman who was renominated and confirmed for another 3 years on August 19th; and the Board's current Chairman Mr. Okada Techitong. The Board still has one vacancy left for a voting member and is pending further nomination(s) from the President's Office. The Board no longer has an ex-officio as well. Kaleb Udui, Jr.'s term as Ex-Officio member of the Governing Board ended on November 15th as he is no longer President of the National Development Bank of Palau (NDBP). Pursuant to the amended Financial Institutions Act, the President of NDBP shall serve as ex-officio. 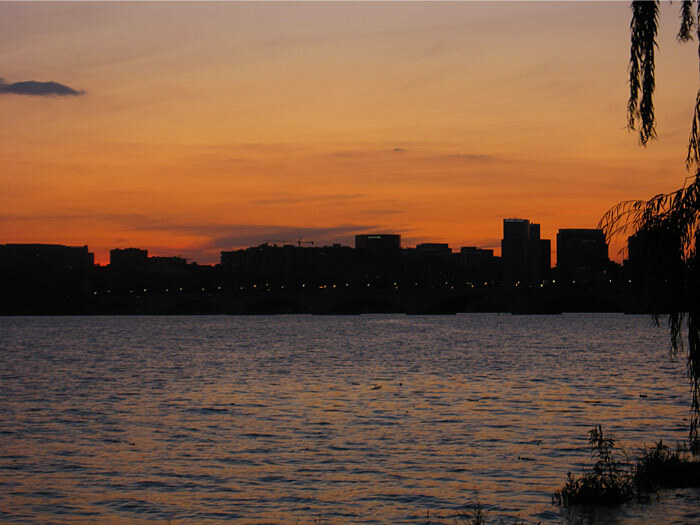 The FIC Bank Examiner spent two weeks with the U.S. FDIC attending the institution's Financial Institution Analysis School. This is an intense two-week program focusing on bank financial statement analysis, performance rating, key indicators, and report writing. 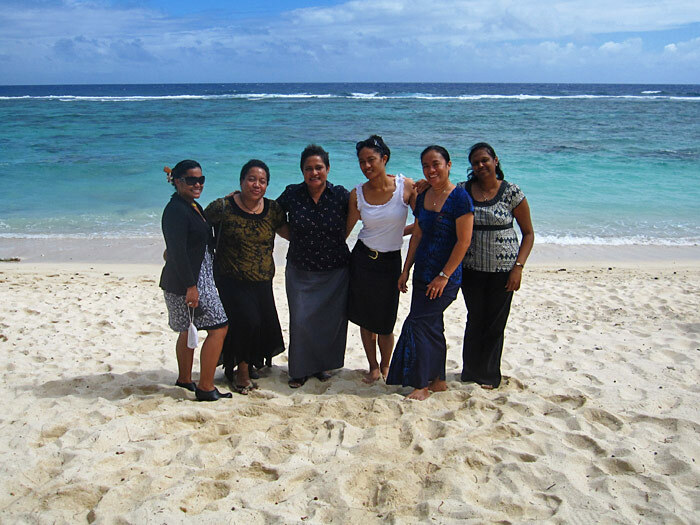 FIC Bank Examiner Lindsay Timarong Pangelinan attended a week-long training seminar in Rarotonga, Cook Islands beginning August 1st, 2011 and lasting through August 5th. The seminar was sponsored by the IMF's Pacific Financial Technical Assistance Center (PFTAC) and hosted by the Cook Islands' Financial Services Commission. In attendance were junior bank examiners and analysts from ten out of the sixteen jurisdictions advised by PFTAC. Eighteen participants took part in lectures, case studies, and discussions, focused on Credit Analysis and Asset Quality. The seminar was conducted by guest facilitator Mr. Lanu Duffy from the U.S. FDIC Office of International Affairs and PFTAC Financial Sector Supervision Technical Advisor John Vaught. The FIC Governing Board of Commissioners recognized PFTAC Technical Advisor on Financial Sector Supervision, Mr. John Vaught, for his many years of service and support of the Financial Institutions Commission. 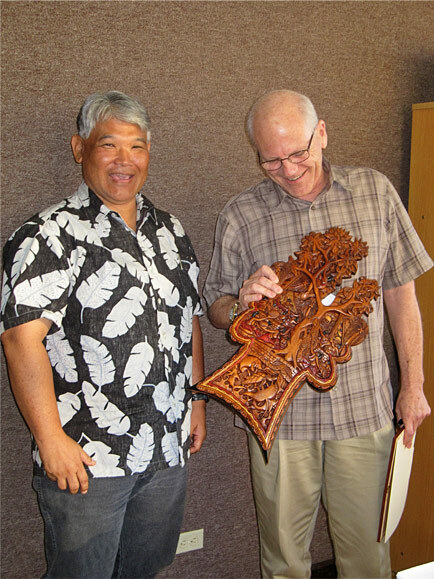 Mr. Vaught was awarded a Certificate of Appreciation, a copy of the Board Resolution in recognition of many contributions, and a gift of a Palauan storyboard. The FIC wishes John the very best in his upcoming endeavors and coveys its heartfelt gratitude for his valuable service to the Commission and to the Republic. The Financial Institutions Commission Governing Board bid farewell to its longest serving Chairman, Mr. Greg Ngirmang on March 25, 2011. Mr. Ngirmang was appointed to the FIC board on March 10, 2004, succeeding Mr.Daiziro Nakamura as Chairman of the Board, and served as Chairman until completion of his term late last month. Mr.Ngirmang was eligible for reappointment, however, the FIC's request for his continued service was not considered. Mr. Ngirmang has been an outstanding board member holding positions on the Board's committees and as Board Chairman. His leadership, professionalism and passion for the mission of the FIC have been invaluable assets to the agency, the depositors of financial institutions, and the banks that the Commission diligently regulates. As Chairman of the FIC's Governing Board, Mr. Ngirmang demonstrated exemplary leadership, attentiveness, and intelligible wisdom in serving the Republic of Palau. Mr. Ngirmang exemplified skillful leadership in the supervision of the Receivership for the failed Pacific Savings Bank, Ltd. He was also instrumental in the promulgation and passage of Rules and Regulations for the Financial Institutions Commission, the 2008 amendments of the Financial Institutions Act, and the establishment of the Financial Investigations Unit, among other activities during his tenure on the FIC board. More recently, Mr. Ngirmang has dealt with such politically sensitive matters as those concerning the PSB Receivership, outstanding court cases on PSB, PSB depositors' payout, and the currently pending bill to amend the Financial Institutions Act. He remained resolute in maintaining the FIC Board's integrity, upholding its policies, and preserving the principles of prudent banking regulation in accordance to the Republic of Palau Financial Institutions Act, for which the Financial Institutions Commission has painstakingly established. The Financial Institutions Commission expresses its heartfelt gratitude to Mr. Ngirmang and presented a Certificate of Appreciation and formal Board Resolution in recognition of his many contributions. The FIC board and staff will miss his sensible and steadfast leadership and his dedicated service to the Republic of Palau in furthering the development of, and improvements in the financial sector. His presence on the board and his leadership and dedicated involvement in the growth and development of the Financial Institutions Commission will be missed by the Board, staff, and the Executive Commissioner.